Burnett Thompson, pianist, composer, educator, splits his time between New York, Washington, DC, and Shanghai, China. His upcoming visit to China will mark his 13th tour of China, including lectures and performances in Xiamen, Ningbo, Chengdu, Wuhan, Shenyang, Dalian, and Shanghai. He has been funded by the Chinese government and universities, the U.S. State Department, and is on the Fulbright Specialist Program roster. The Shanghai premiere of his Shakespeare Sonnet Song Cycle was performed in Mandarin in April, 2011. 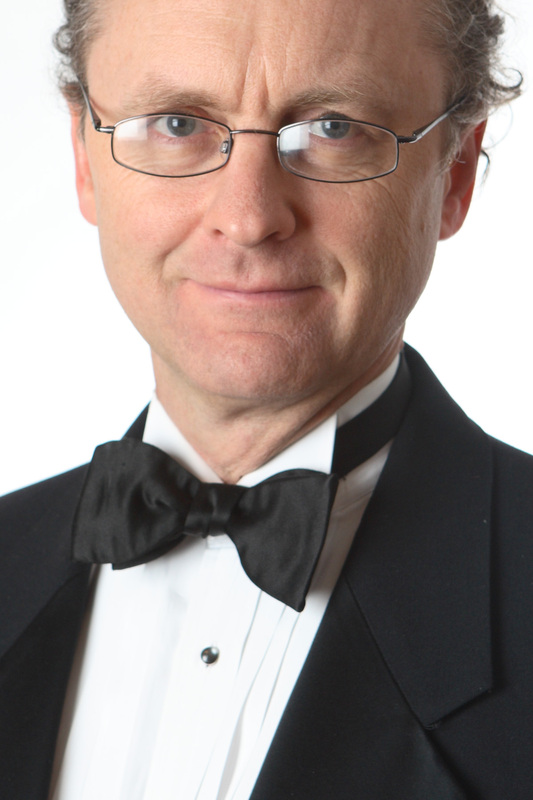 He is currently Director of Programming for Castleton in Performance, the Piano in the White House, Piano Jazz at the Arts Club, Jazz on Jackson Place, and the Hill Center Concert Series. Mr. Thompson speaks Mandarin and German. He performed regularly with Chinese erhu soloist Ma Xiaohui in China, Canada and the U.S., most recently at Carnegie Hall. Further performances with Shanghai-based jazz vocalist Coco Zhao, Tango specialist Juan Pablo Jofre Romarion, Flamenco guitarist Abraham Carmona, and the New Columbia Swing Orchestra have made for a lively and varied performance schedule. He has been instrumental in bringing noteworthy performers to the U.S. from China, and has brought them to the attention of the international media, including NPR, the Washington Post, Sing Tao Daily, WPFW radio and the World Journal. Mr. Thompson's activities include performing, arranging, media relations and concert management. Mr Thompson recently performed concerts and lecture performances at Liaoning Grand Theater in Shenyang and Wuhan Xintiandi, as well as Dalian University of Technology, Shenyang Normal University, Liaoning University, Shenyang Conservatory, Wuhan Conservatory, Wuhan High School for the Arts, Jiang Han University in Wuhan, Shanghai Normal University, Shanghai Conservatory Preparatory School, and East China Normal University. From 2002 to the present, Burnett Thompson has enjoyed a productive relationship with numerous cultural institutions in Washington, DC. He has performed his own scores for numerous silent films of Lubitsch, Murnau, Eisenstein, D.W. Griffith, and numerous other silent films of Japan, Portugal, and Brazil. The Embassy of Austri, The Freer Gallery, Goethe German Cultural Institute, the National Gallery of Art and the Library of Congress have all participated in these screenings. His most recent project in this area is the Silent Shakespeare and the Sonnets series hosted by the Shakespeare Theatre and numerous other venues. In 2000, he was commissioned to write an orchestral work for the National Chamber Orchestra, for which he composed his Concerto for Orchestra and Improvised Piano. The work was trashed by the press, but remains much adored by the composer. During the same time period, he hosted performance tours of the Smithsonian's Piano 300 collection. In the late 90's, he began a unique collaboration with Lorin Maazel. Mr. Thompson assisted Mr. Maazel in an educational enterprise, working with school children of all ages in a novel general music program. He also played chamber music with Mr. Maazel, arranged, produced and performed in several recording projects of Mr. Maazel's own compositions, in addition to production of an orchestral concert with tenor Jose Carreras. At the same time, for 17 years, he hosted a well-known Washington, D.C. night club as the house pianist. Guest artists included Chris Vadala, Keter Betts, Louis Bellson, Pete Barenbregge, among countless others, and it was during this time that he developed his voice as a jazz performer and composer. In the mid 90's, he produced 4 recordings in the jazz and improvisational genre which were met with critical acclaim. He produced the Phillips Collections Musicales in 1994 and 1995 at the renowned Phillips Collection Museum in Washington, D.C. The Musicales featured dozens of the fine musicians for which Washington is known, jazz and classical alike. As an educator, Mr. Thompson works with all ages of school children and prepares them to deal with any music that they may happen to prefer.